America’s favorite ice cream since 1948, Swensen’s premium Sundae parlor opened its first outlet in Cambodia in 2007. Since then, Swensen’s has expanded its operation through eight outlets in Phnom Penh, Siem Reap, and Battambang to be convenient access for dine-in experience. Millions of customers have grown to love Swensen’s and have enjoyed many happy moments as well as over 20 ice cream flavors, a large variety of ice cream Sundaes, and delectable desserts from its bakeshop. 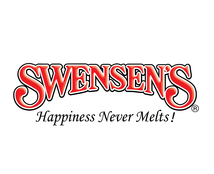 With its attentive customer service, high-quality products and cozy in-store atmosphere, customers know that happiness never melts at Swensen’s.